Synopsis: Keep your carpet safe from mud, snow and ice. Your MINI deserves to be protected from the mess that ice, snow and rain brings during winter months. 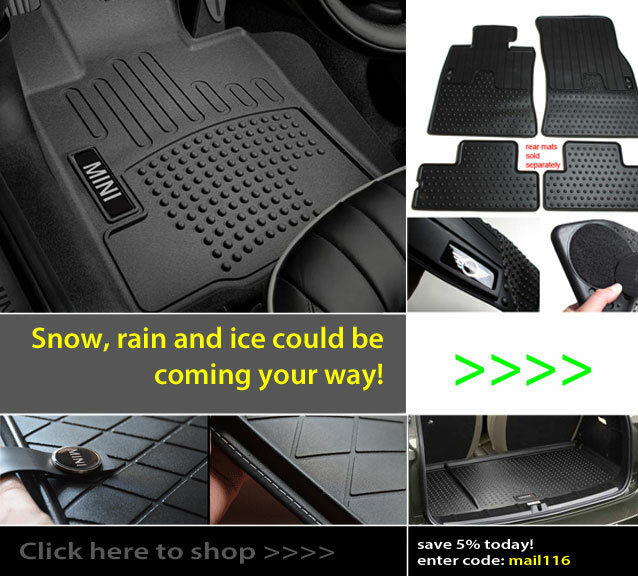 Pick up a set of all weather, heavy duty rubber floor mats to keep your MINI from getting abused. We have a huge selection of MINI floor mats to shop from.